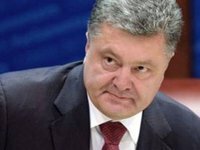 Ukrainian President Petro Poroshenko has stated U.S. investors positively assess the business climate in Ukraine. "A meeting with investors [in the United States] went over with a bang. We did not hear, and it was for the first time, any remarks about the Ukrainian authorities. Those, who have been working in Ukraine for a long time, and those, who only aim and plan to enter our market, came," he said at the opening of the tenth international economic forum "Innovations. Investments. Kharkiv Initiatives!" in Kharkiv. Poroshenko on September 24-27 was on a visit to the United States of America to attend the 73rd session of the UN General Assembly.